There is a formula for everything…. Undeniably, one of the cornerstones of our industry is Education. It’s the blood source for continued growth and inspiration. and it will continue to be! Why? 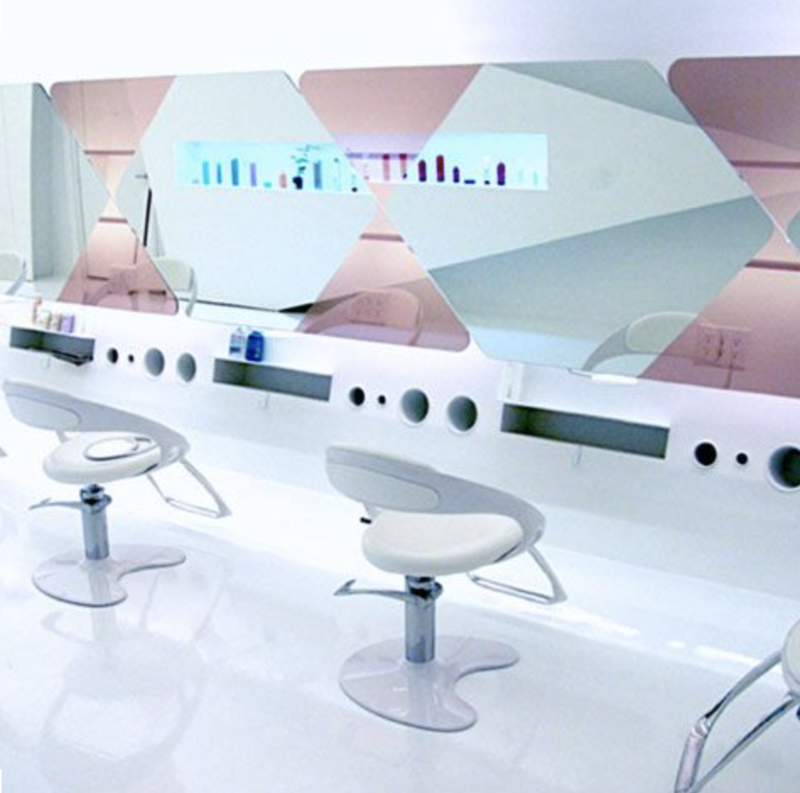 Because developing a strong technical skill is the #1 focus of stylists around the globe. It’s important for the newly graduated, for those that have been practicing 5+years and all those looking to get to a level of ‘Mastery’. No matter where you are on your journey, education helps us all stay relevant and inspired. It builds our confidence, keeps us competitive, and maintains motivation. Sounds easy right? Well, in an era of speed and instant gratification, this formula has become one of our biggest obstacles. If you are like me, I think of obstacles as opportunities to learn and reinvent. The process can sometimes be lengthy and at times frustrating but never the less absolutely necessary. What if I told you that there is a way to make the process easier AND faster!! Interested!? Think about ‘Mastery’ as layered learning! Most of us won’t sit long enough to watch a video longer than 3.5 min. Who has time for that? Hahahaha. We all want to maximize our time and receive information relevant to what we are interested in, and quickly! Like it or not, this is the way our brains are wired now. We need a fast paced timeline! How can we learn from that and apply it to our education program? Let’s start with layered learning… Breaking up our topics into 3 steps. The benefit is being able to see the light (end) at arm’s reach, no longer at the end of the tunnel, but right there in close proximity. This creates a faster timeline while feeling the growth and accomplishments. Our teams gain the confidence they are seeking while keeping them engaged. Make sure to celebrate your team on their milestones and keep them looking ahead! It would look something like this…………… Let’s choose haircutting as the example. Choose your 5 most popular haircuts. Teach these haircuts in two steps: Step 1 would be the most beginner level and Step 2 a more difficult level, building the layers of learning. At the bottom of this blog, I have a chart for you to look at in case you are more of a visual learner like me. Step 1 – Foundation education = Doll head work. Teach the chosen techniques all on mannequin heads to get the 1st layer of learning. Focus on building technical confidence. 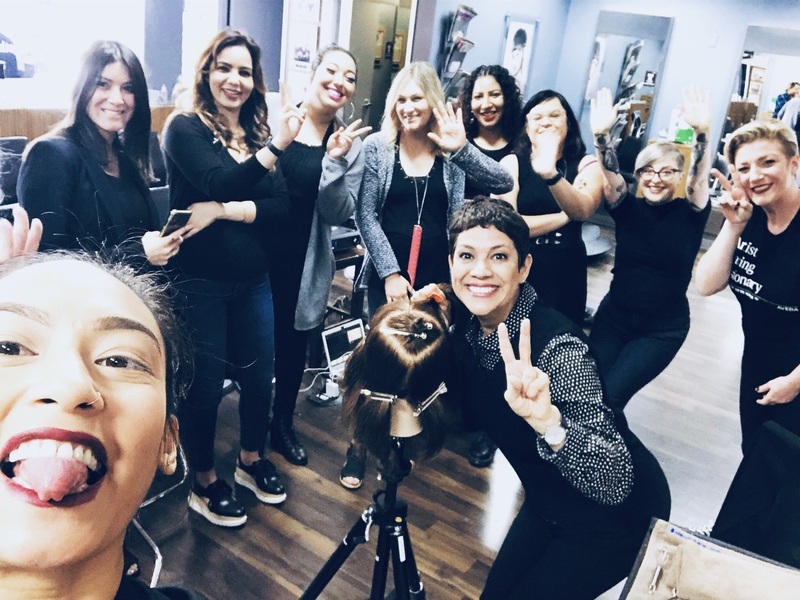 Step 2- Salon reality education = Build on top of the 1st layer by practicing the technical skills learned in step 1, now on real people, with the focus on teaching human to human interaction and client care. Once you get comfortable…let’s throw in another step! Step 3- Polish = Build on top of the 2nd step by adding new technical tools, trends and techniques with higher level of difficulty, still on real people. Focus on polishing technical ability and building confidence and competence. This method allows us to still use the proven formula to build technical confidence and competence that we have used in our industry for decades. We have now created bite size success and milestones, allowing the learner to feel the results and progress quickly! Doll head work. Teach the chosen techniques all on mannequin heads to get the 1st layer of learning. Focus on building technical confidence. + Build on top of the 1st layer by practicing the technical skills learned on level 1, now on real people, with the focus on teaching human to human interaction and client care. + Build on top of the 2nd layer by adding new technical tools, trends and techniques with higher level of difficulty. Focus on polishing technical ability and building confidence and competence and speed. Regardless of how our industry evolves or gets disrupted, Education will always take center stage. You now have the key to reinventing your education! Layered learning will give you a faster timeline. Students will have higher engagement, faster gratification, faster progress, faster competence. It’s a win-win all around!